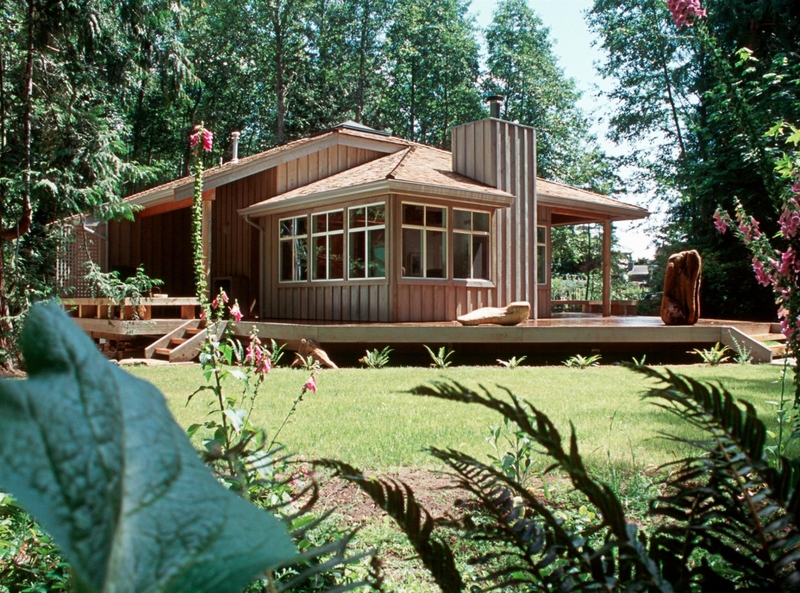 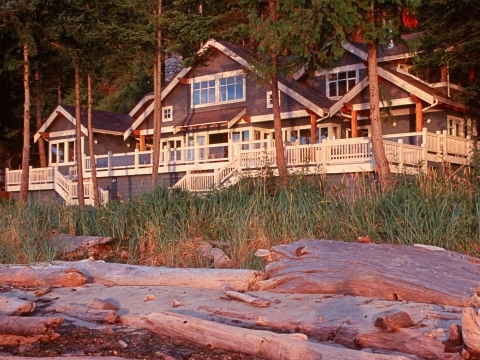 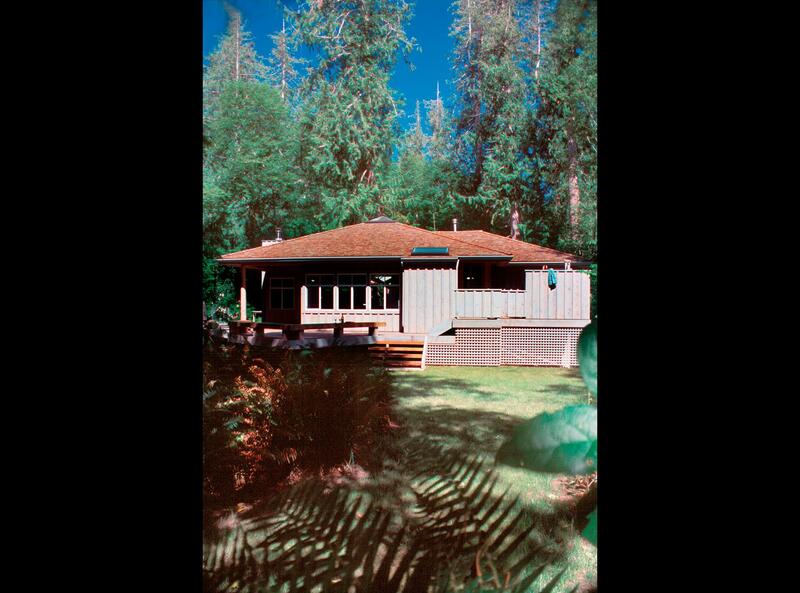 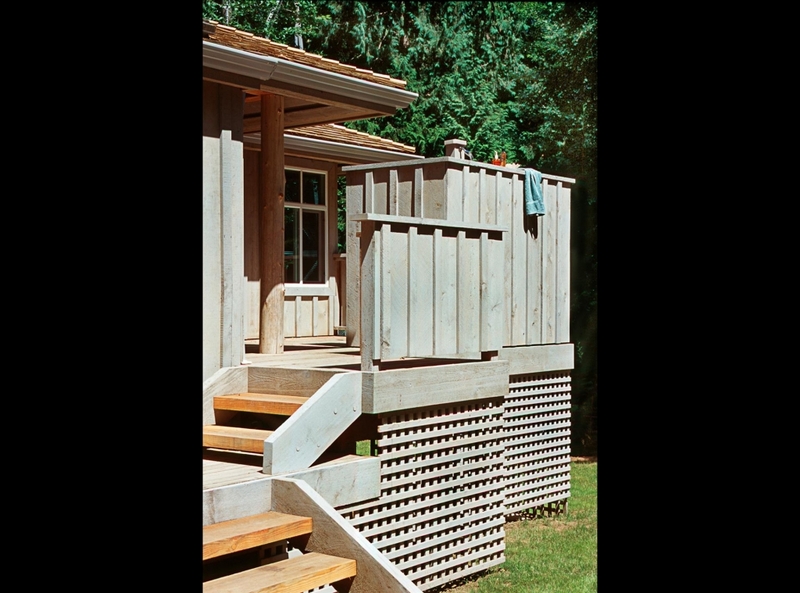 Savary Island Grandkids’ Cottage - Still Point Architecture Inc. 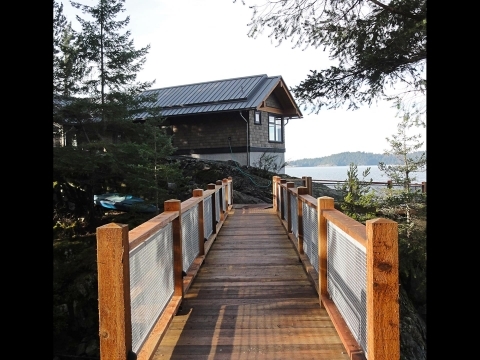 This second vacation home for a three-generation family is 1000 square feet of living space but feels much more generous with vaulted ceilings throughout. 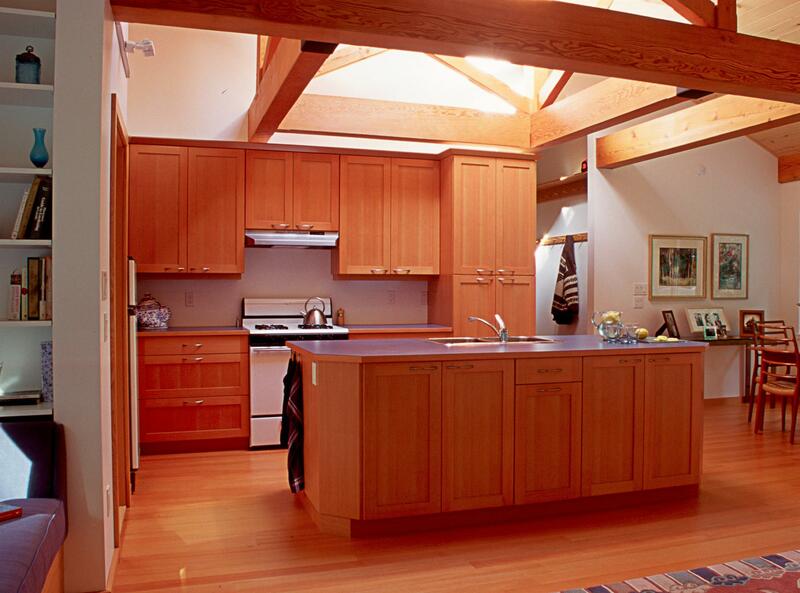 A central pyramid skylight supported on an elegant timber frame is the focal point of the living-dining kitchen area. 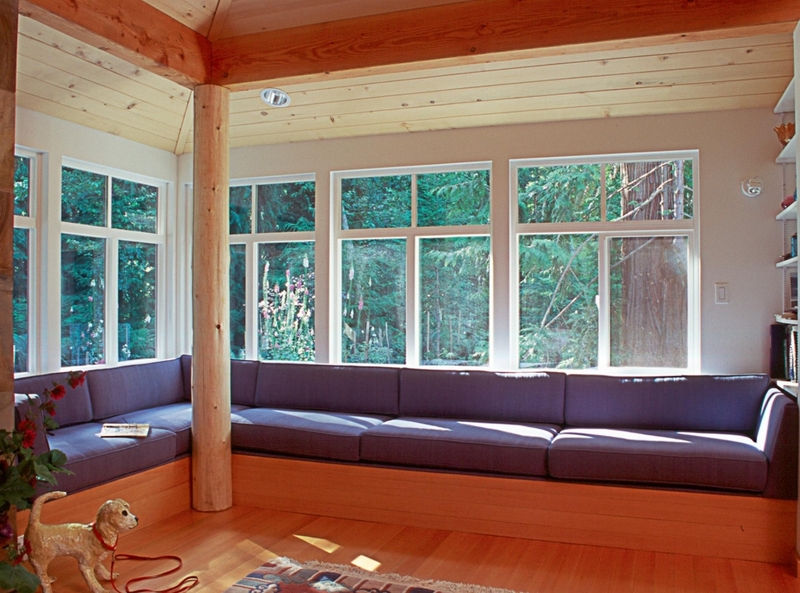 Built-in window seats double as guest beds and invite sunshine into the living room. 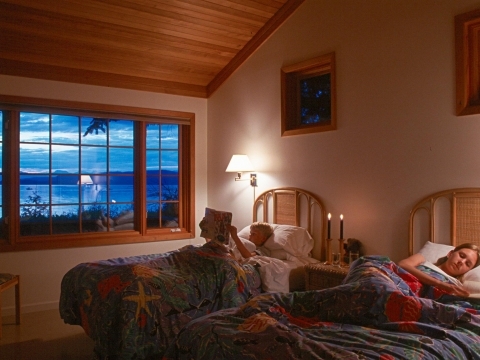 Privacy for the bedrooms is suggested by the subtle change in floor levels.